Perfect for you banana lovers. Bananas make us strong, bananas make us healthy and most importantly, bananas make our taste buds happy! This mineral-and-nutrient-packed fruit can either enhance any dish even better or simply encourage creativity all on its own. 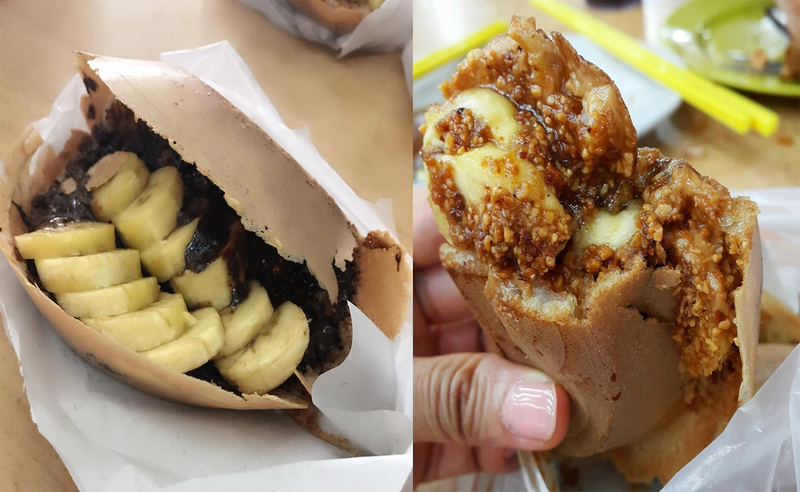 If your mind is struggling to look beyond the ubiquitous pisang goreng and the mind-numbing banana split, this mouth-watering list is about to fuel up your appetite. Good flavours and creativity coexist in the form of Banana Kaya Pizza at this spacious and minimalist joint in Wisma Yeap Chor EE. 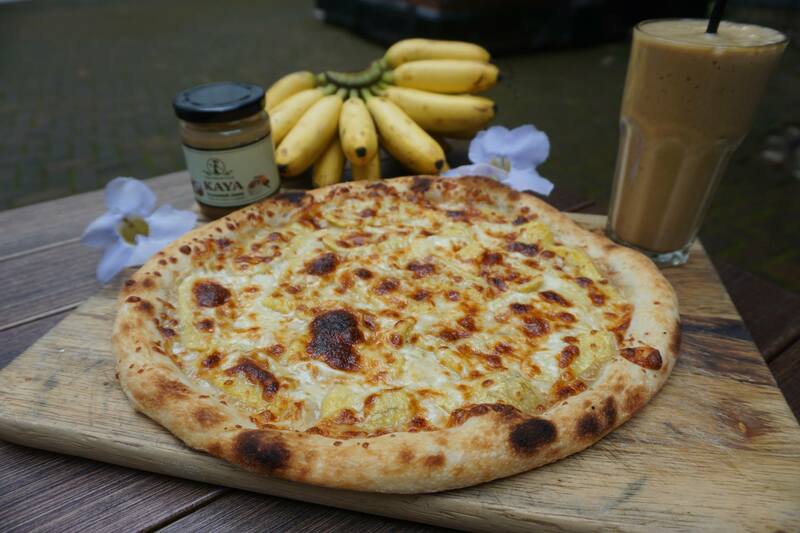 Tailor-made for sweet-tooths, the sourdough pizza is smeared with kaya (coconut jam) instead of tomato puree, layered with sliced bananas and copiously coated with mozzarella cheese before being baked to perfection in an authentic Italian pizza oven. If you’re looking for a beverage on the same wavelength, check out their banana kefir smoothie. Despite the name, it also wears a hat as a bakery, churning out a decent selection of sandwiches and loaves. Never denying that Naughty Nuri is a name that comes to mind when your belly begs for a bevy of porky goodness. Nevertheless, deep inside the extensive menu lies a combination that is worth saving some space for – bacon banana! 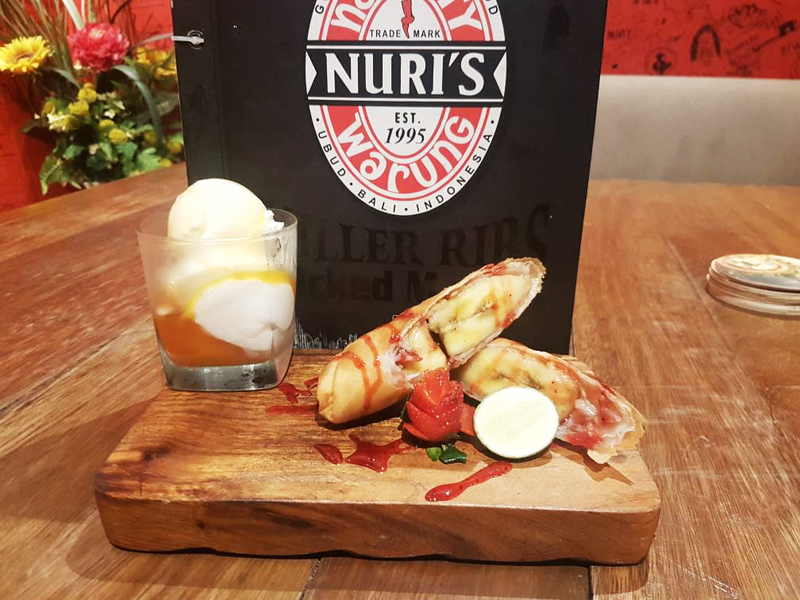 As lip-smacking as it sounds, expect banana wrapped in bacon and popiah skin, deep-fried to golden perfection, then drizzled with strawberry sauce and accompanied by a serving of vanilla ice cream topped with passion fruit syrup. If you think the presentation and creativity have taken the cake, wait till it hits your palate. 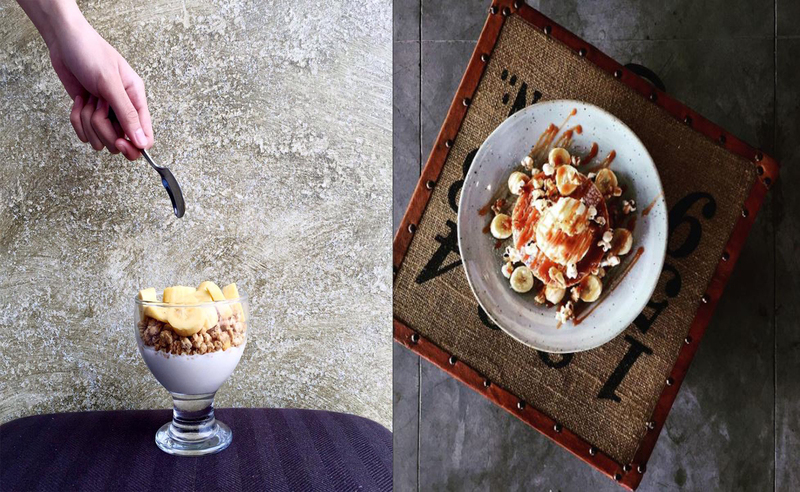 The banana parfait at Brown Pocket is everything a health nut will love. It’s a simple yet delicious combination of sliced bananas, granola and muesli. Not in the mood to play by the diet rules? Opt for the 'Banana & Salt' – stacks of fluffy pancakes generously topped with fresh banana slices, walnuts, popcorn, ice cream (vanilla or chocolate) and completed with lashes of salted caramel sauce. Done taking in the beauty of the presentation? Relish the fun interplay of taste and texture on your taste buds while admiring the Instagram-worthy interior. The cakes at Passion Heart Cafe are nothing but spectacular. The variety will leave you weak in the knees and the quality lives up to its name. 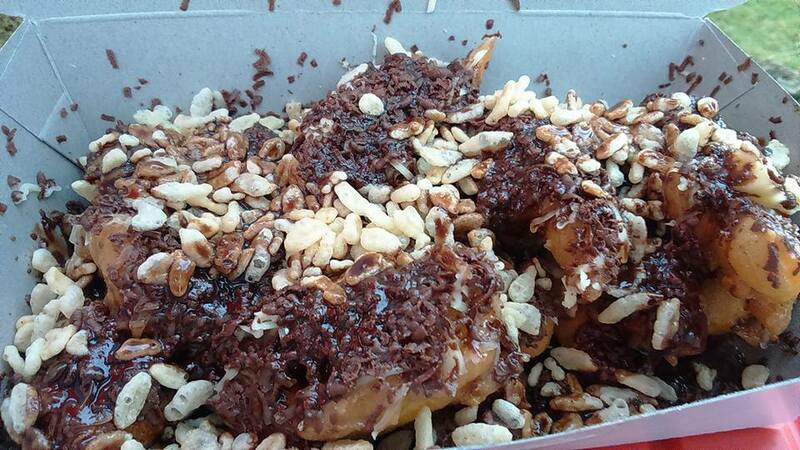 The durian and cempedak renditions may hog the headlines but the banana crumble is no less inviting. 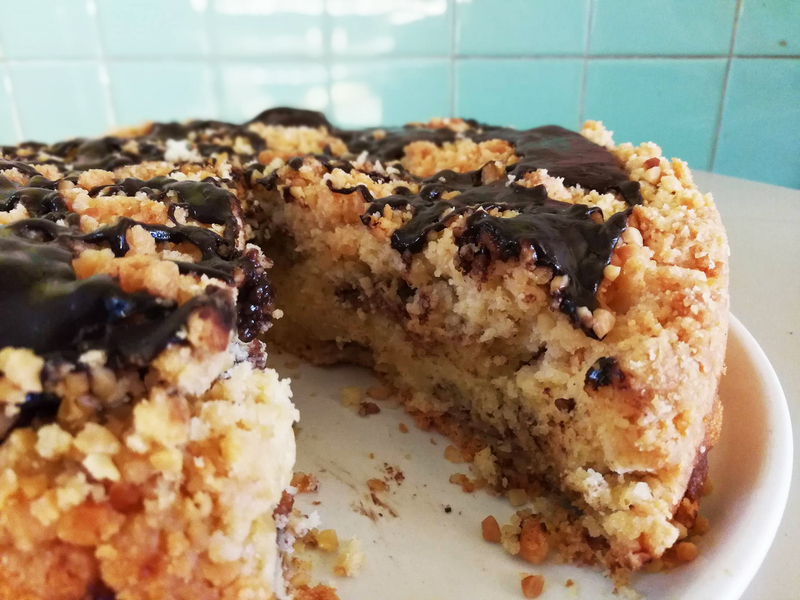 Baked fresh daily, the cake is moist and flavourful with slices of banana and chocolate sauce imparted within, while the crumbles and almond chunks scattered on top lend a nice crunch before more chocolate sauce is seductively slathered on top. Best paired with a cup of cuppa. Kesum Art Restaurant has been earning its stripes as a restaurant serving authentic southern Malay delicacies. 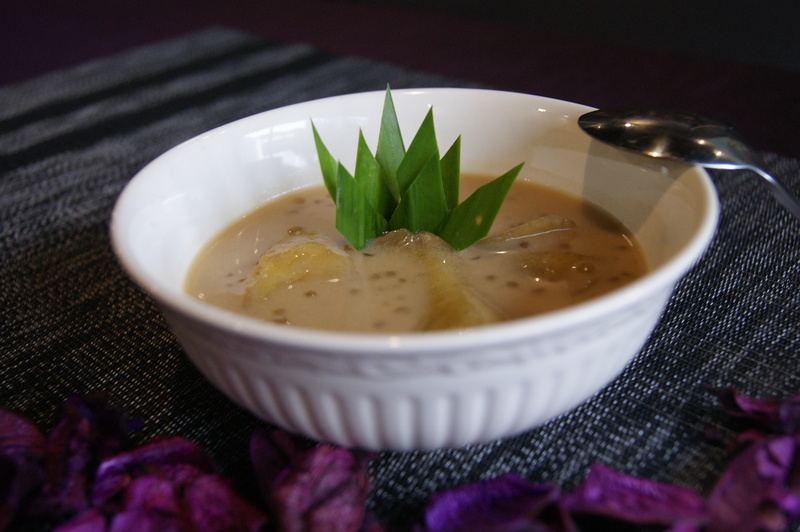 And one of the dishes that highlights the essence of the joint is pengat – slices of banana lounging in a pool of sweet coconut milk cooked with gula Melaka, pandan leaves and sago. Since the fruit is sourced fresh daily, it depends on the type of banana available, as each offers a distinctive difference on your palate. Commonly pisang nangka is used, which ensures the symmetry of sweet and sour is down pat. Doubling up as an art gallery on the first floor, discover gorgeous artworks after mopping the bowl clean. In between the up-to-the-minute restaurants and bars along Persiaran Gurney lies this beautiful cottage that has been a sleeper hit among crepe lovers. 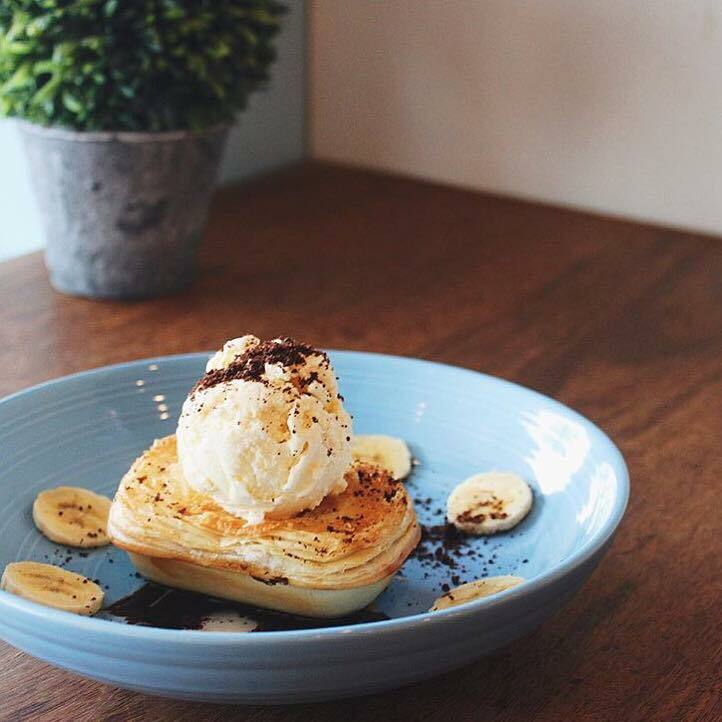 Be greeted by sweeping choices of savoury and sweet crepes, and banana aficionados will go gaga over the Nutella Chocolate Banana Crepe and ‘Sweet Memories’ – a crepe combination inspired by Elvis Presley’s favourite sandwich filling – melted peanut butter and banana! And yes, whichever your choice is, your platter will be accompanied by a scoop of ice cream and whipped cream. Definitely a fine reward for sugar junkies! The Safe Room proves that science and ice cream are a marriage made in heaven. You guessed it right; liquid nitrogen ice cream it is, and this attractively adorned cafe is widely known as the pioneers in Penang. 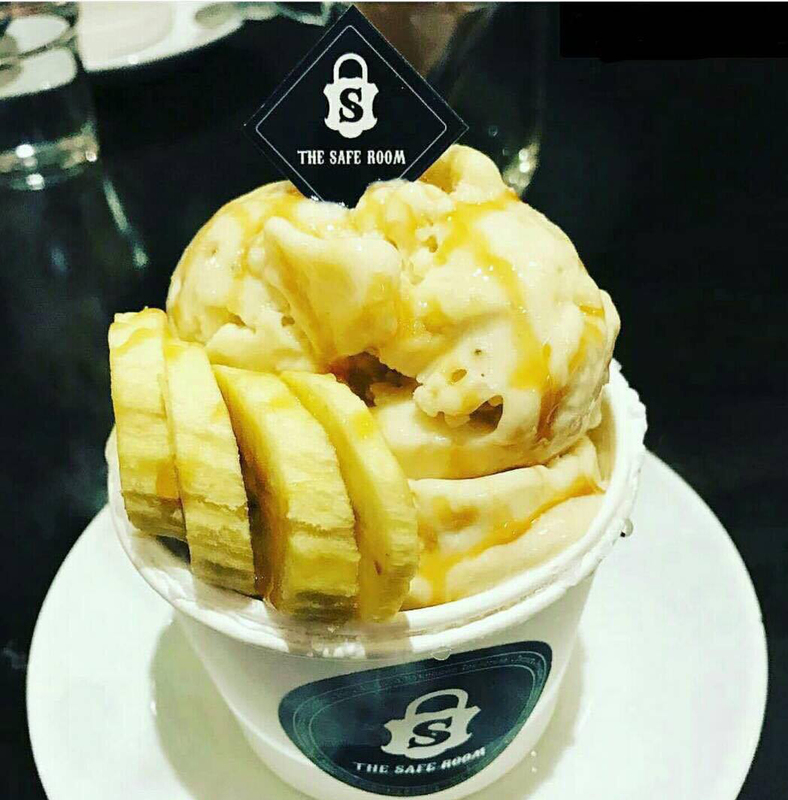 Its home to numerous enticing flavours and one of the standouts got to be the Caramel Banana. Before sinking your teeth in, keep your eyes peeled at the preparation that involves all those lab vibes oozing gas and utensils. The banana ice cream is creamy, rich and perfectly complements the showers of caramel sauce and sliced bananas. Super Tanker Food Court is one of the busiest food hubs on the island and it’s pretty easy to see part of the crowd making a beeline for pancakes at this stall. 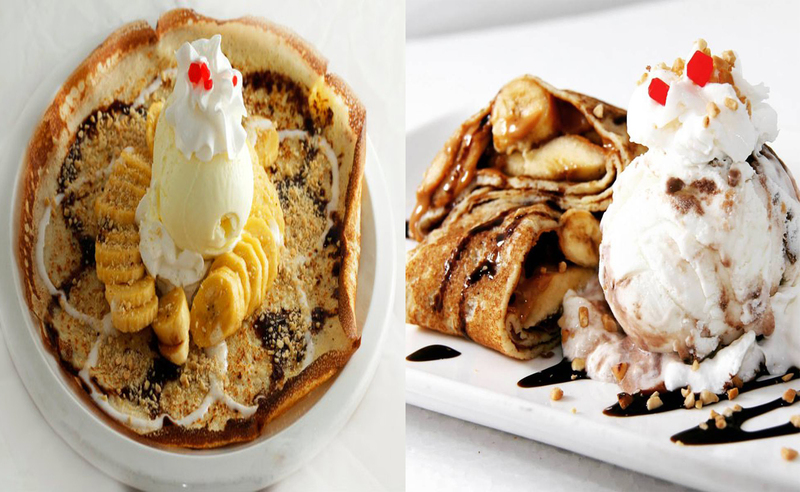 The menu features an array of ingredients to bloat up the pancakes, where bananas are among the most revered. Yet, the real deal is not settling for the less. Accompany the generous portion of sliced bananas with chocolate sauce, crunchy peanuts, brown sugar, raisins, corn, cheese and ham. This is a Malaysian perennial favourite done right and reasonable. So, eat to your heart’s content. Miam Miam has been winning the hearts and tummies of both savoury and sweet food seekers. 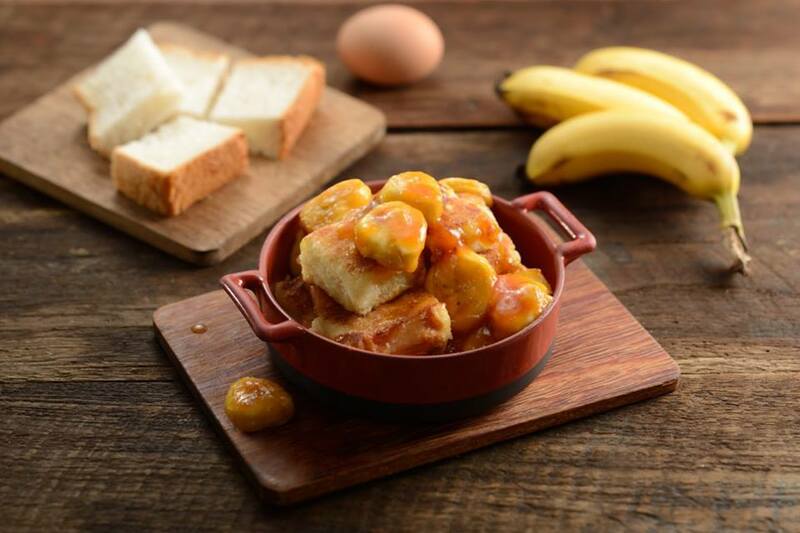 For an uncompromising banana bliss, check out their Caramelised Banana French Toast and Caramelised Banana Souffle Pancake. The former comprises beautifully charred cubes of toasts, paired with Madagascar Vanilla and slow cooked caramelised bananas, while vanilla gelato, caramelised bananas and toasted almonds nibs over a bed of the fluffiest pancake you could imagine complete the latter. The aesthetic arrangements capture your attention at first, but it's the flavours that nab a place in your core memory. Wash it all down with fresh fruit tea. Imagine a little pool of creamy banana filling encapsulated by a flaky on the outside and soft on the inside pie, crowned by a scoop of vanilla bean ice cream and garnished with chocolate crumbles and slices of banana. That just about sums up the Banana Pie at Pie Harbour. Each trimmings conjure the ideal texture and taste to leave you coming back for more. Those with an affinity for ice creams, opt for extra scoops of other flavours too. Add their banana lacci to your order, for a refreshing take on banana. 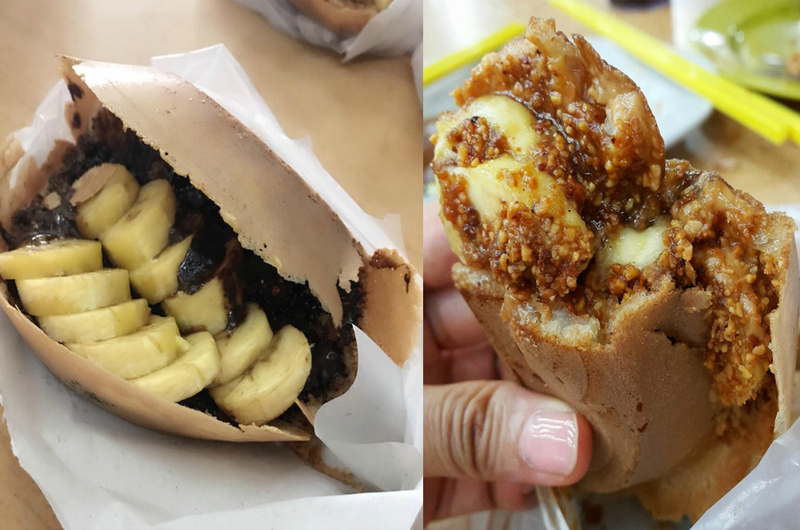 You may have eaten your way through Penang’s omnipresent pisang goreng stalls but what sets this place apart is the variety of toppings. Commonly flooded over the social media feeds, among the grated cheese toppings are butterscotch, red velvet, rainbow, and Nutella, and for the right crunch to liven up the bite, mini cornflakes can be scattered on top too. Despite the topping hoopla, the fried banana fritters buried below are delectable. This is one treat that you could eat till you drop without actually thinking about calories and budget. 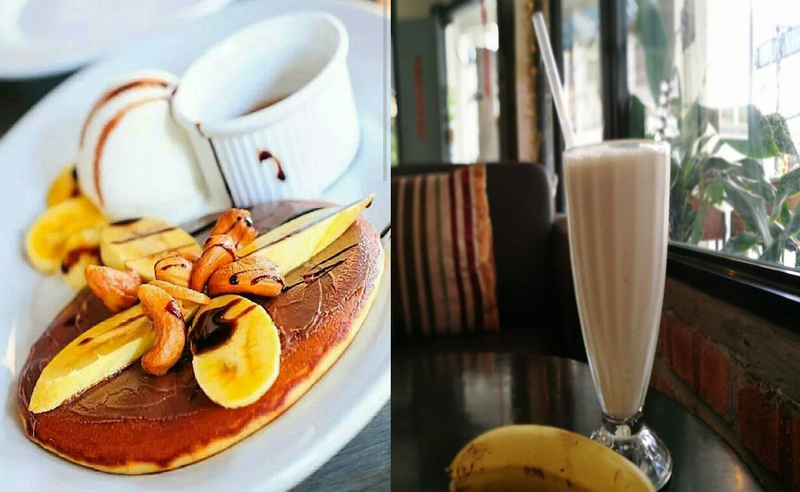 Nestled in the heart of Georgetown, this cosy cafe is not only a place to be for hearty servings of breakfast, brunch and other cafe fares, as their selection of yoghurt drinks are worth checking out too. Do chug down their banana yoghurt, made with bananas, natural yoghurt and ice. In other words, it’s a tasty way to reap up all the health benefits. Another dish that never ceases to excite banana lovers is the chocolate and banana pancake – walnuts, ice cream and banana slices perched atop a homemade pancake and drizzled with Nutella chocolate sauce. 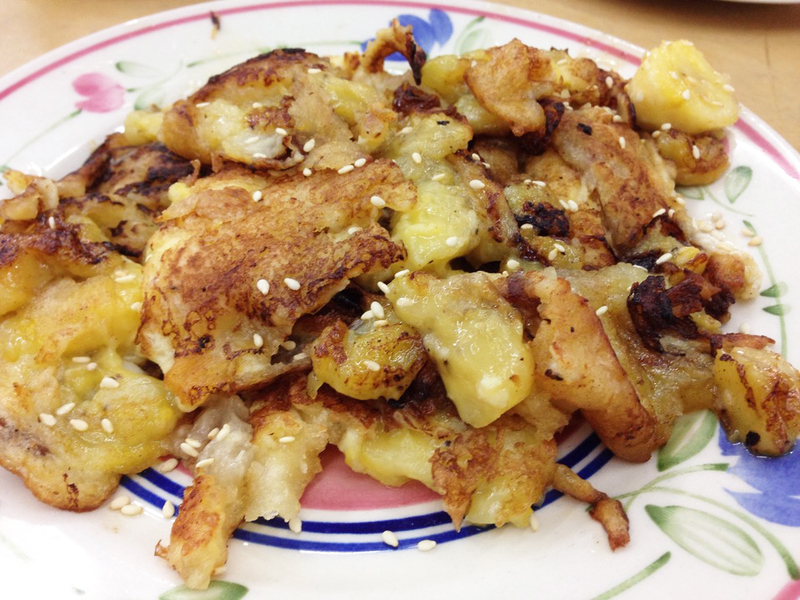 Some call this the traditional Chinese pancake while others simply refer as banana toast. Whatever you call it, this dish is absolutely delicious! Burrowed between bustling stalls, this stall owner is often kept on his toes, mixing and frying thick batter, raisins, banana slices, eggs and sesame seeds on a large skillet. Nearing completion, a chunk of margarine is melted on top, till the pancake turns golden brown. Once sliced into bite-sized pieces, more sesame seeds are sprinkled over. The creaminess of the banana blends well with other components, offering a gradation of texture in every mouthful. Before you ask which drink complements the best, it’s Kopi O!